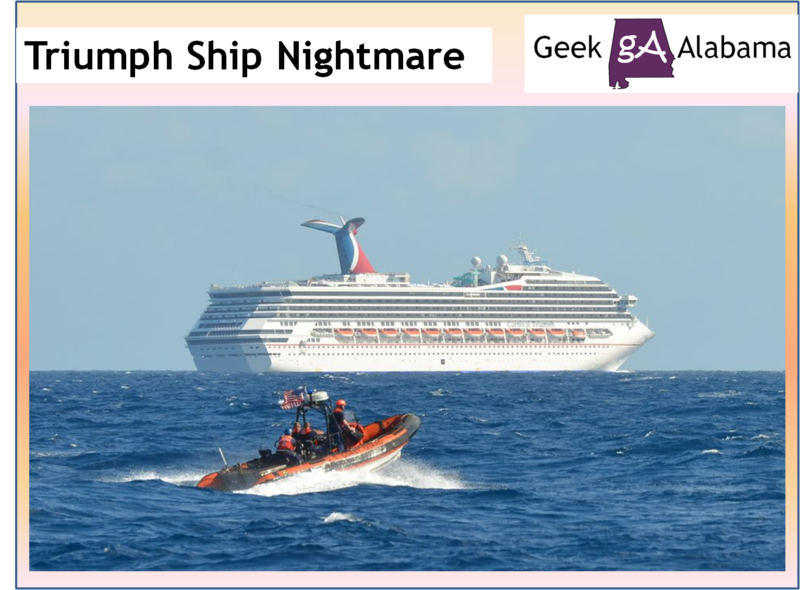 I feel bad for the 4,200 passengers and crew on the Carnival Triumph. Last Sunday a fire broke out on the ship in the Gulf of Mexico. The engine room fire left the ship unable to move itself forward and without power for the bathrooms, elevators and kitchens. Passengers have been using the bathroom in red bags. 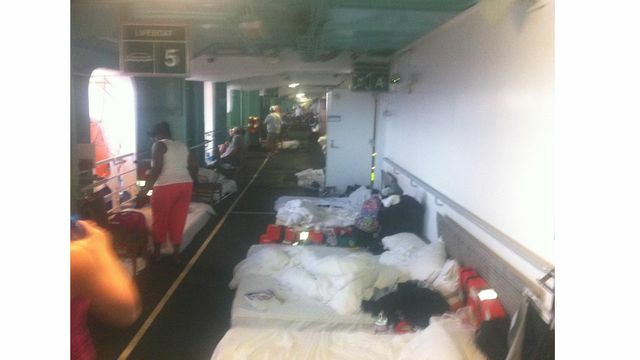 With no working bathrooms; sewage has been leaking on the ship. 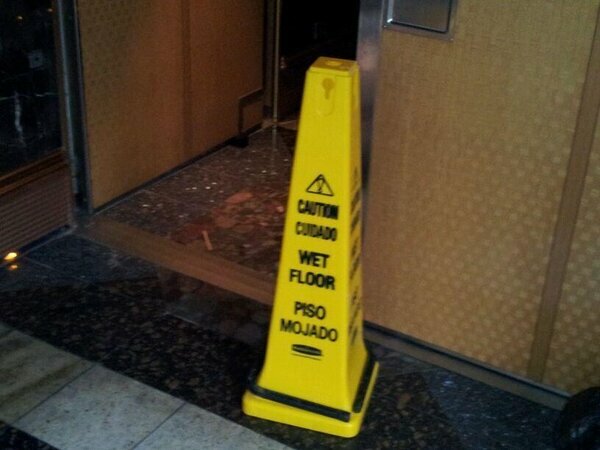 Yes, there has been sewage running down the walls and down the floors. Guests have been sleeping outside and they have taken bed sheets to provide shelter from the sun. Folks have been sleeping outside alongside their rooms. 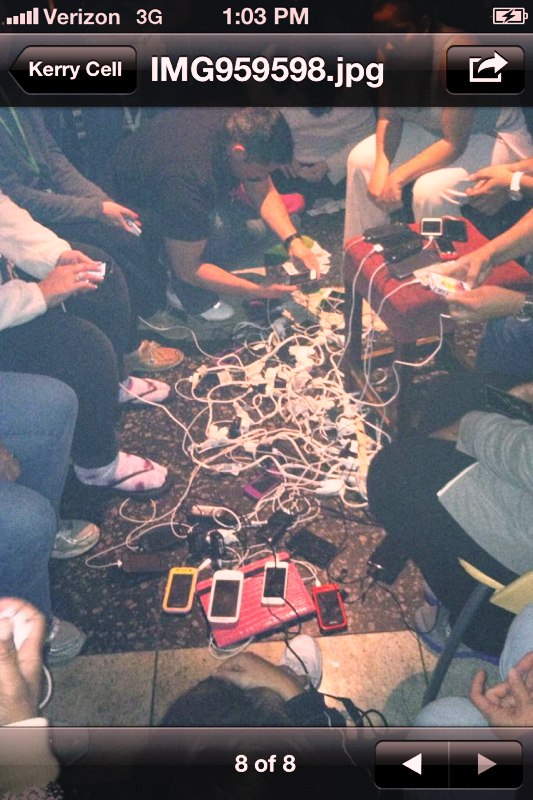 People have been also using the little power available to charge their phones. 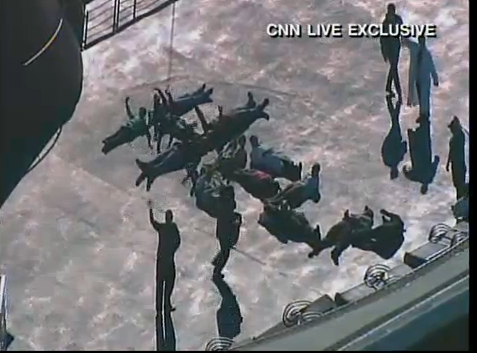 And what’s a cruise when people are spelling out the word “help” from the ship. This is going to be a PR nightmare for Carnival. There have been reports from people saying Carnival knew there were problems with the ship but they chose to set sail. This ship should have been taken to Mexico instead of taken to Alabama. It would have been a couple of days without misery! One woman calling in to NBC’s “Today Show” compared it to the New Orleans Superdome during Hurricane Katrina, where six people died and thousands dealt with no power, sunlight or food for days. These passengers are going to get another cruise for free along with paid expenses back home and $500 of extra money. I know some lawyers are already lining up to sue Carnival, we will see how far that will go. The ship will dock in Mobile, AL; this city used to be a launch point for one of Carnival’s ships. Carnival has plans to bus the passengers 2 hours down the road to New Orleans. 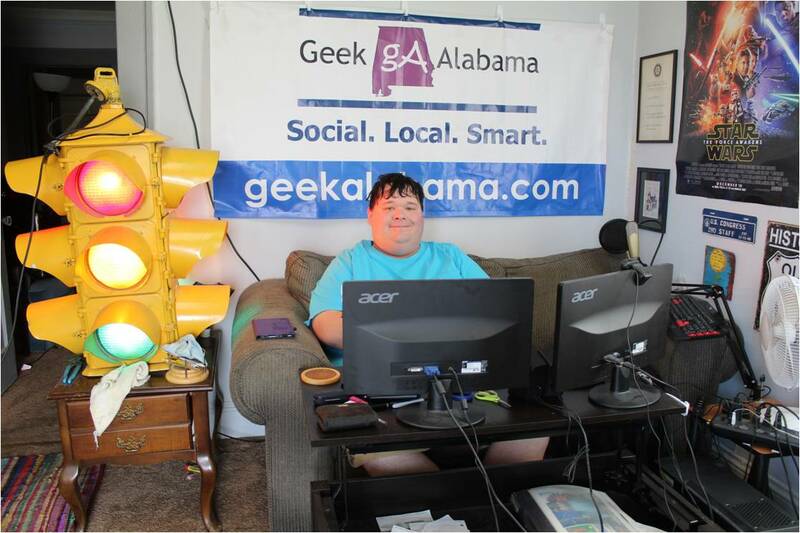 Why can’t the company use hotels in the Mobile area? And why is the Mobile Airport not good enough? 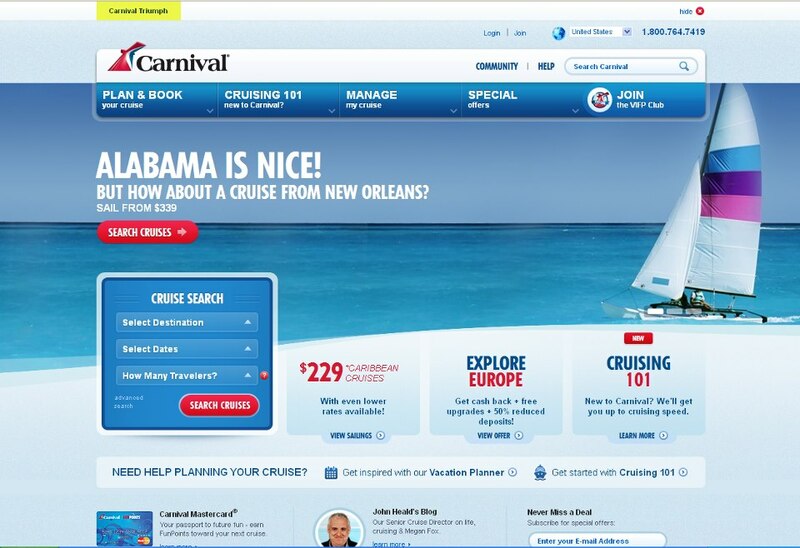 This was a screenshot from Carnival’s website. This is not the first time Carnival has had trouble with its ships. It’s only been a year since another Carnival-owned boat, the Costa Concordia, ran aground in Italy and tipped over, costing the lives of 32 people. In 2010, yet another Carnival boat, the Splendor, had an engine fire that cut the ship’s power and left the passengers floating on the Mexican Riviera. The company has canceled 14 future sailings of the Triumph. 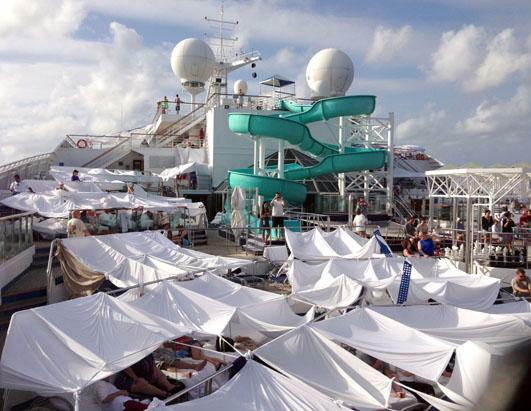 I don’t think this crisis will affect the cruise industry very much. 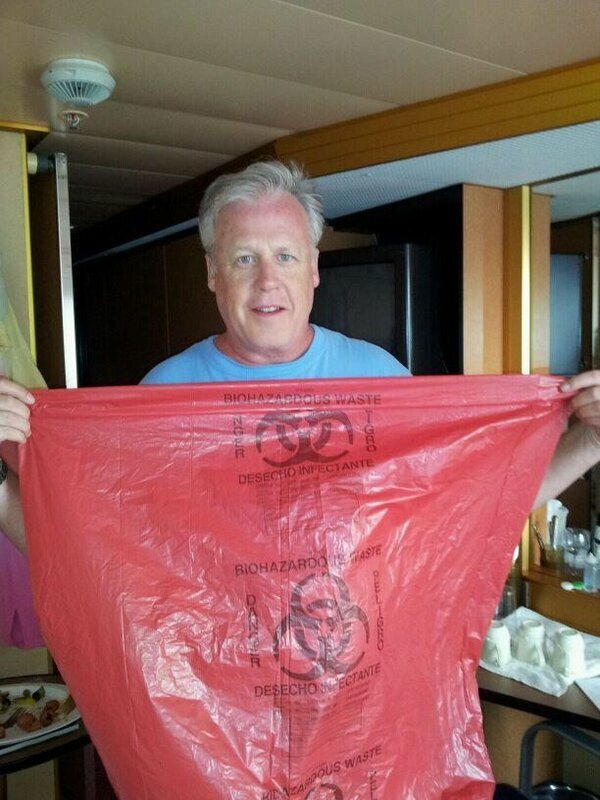 Even with the bad conditions on the ship, the Carnival employees did the best they could do! And many people have booked cruises on many ships this year! I think many people will still go on cruises! The only thing I don’t like about this is the CEO of Carnival was enjoying a Miami Heat game while this crisis was going on.